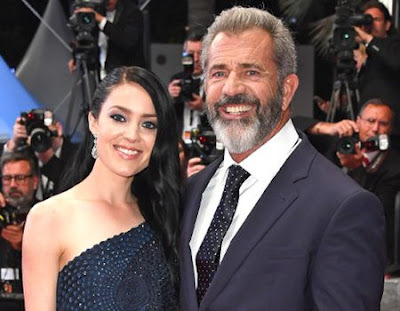 60-year-old actor Mel Gibson who is already father to 8 children is expecting his 9th child with his girlfriend Rosalind Ross, 26-year-old girlfriend Rosalind Ross and Gibson been dating for 2 years. Mel Gibson has children between the ages of 36 years to 6 years. Mel Gibson shared 7 kids with his ex-wife, Robin and one with former partner, Oksana Grigorieva. This will be Rosalind's first child.